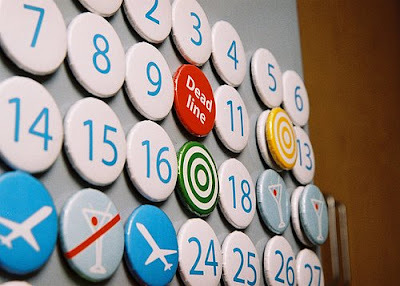 This stylish magnetic calendar was created by the designer Serhiy Chebotaryov, using magnets. 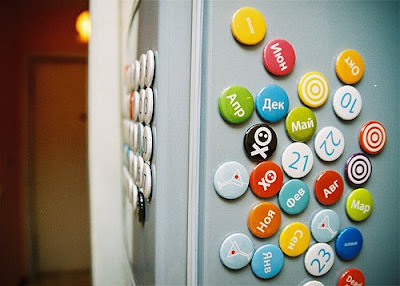 This easy customizable calendar would look just great in any home; all you need to do is to put it on the fridge door. 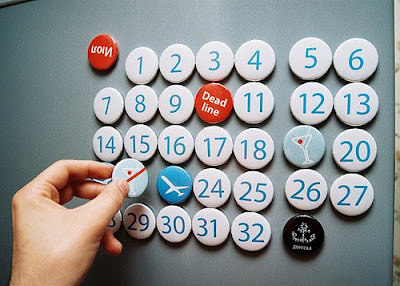 "Dorogaya" also contains symbols such as going on holiday, arrival, departure, and various others. It won the Bronze at the Kiev International Advertising Festival '08.